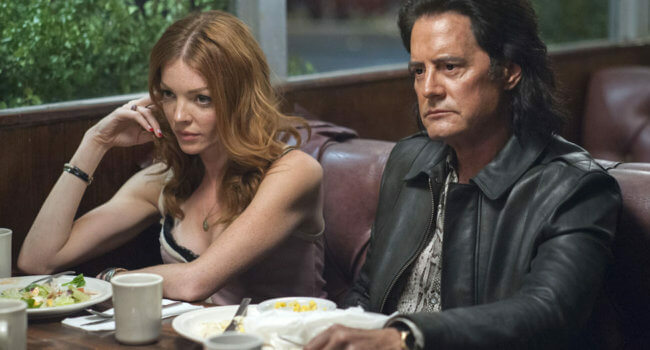 In Twin Peaks: The Return, while Special Agent Dale Cooper is trapped in the Black Lodge, a malicious spirit associated with BOB was released into the world. He took the form of Cooper’s doppelgänger, also known as Evil Coop, and cuts loose compared to his clean-cut counterpart as noted by his long hair and animal skin fashion. In Black Swan, Nina Sayers (Natalie Portman) is a talented ballerina dancer who must play both the roles of the white swan and the black swan. She’s well suited to play the innocence of the white swan, but feels overwhelming pressure from her understudy Lily (Mila Kunis), who is perfect to play the sensual black swan. Before long, her grasp on reality starts to slip.